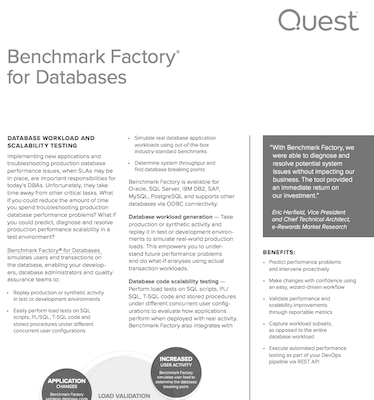 Determine system throughput and capacity for database systems by performing industry standard benchmark testing. Catch issues before they happen by finding applications that don’t scale well with an increased number of users. Replay real production transaction workloads on non-production environments whether on-premise or in the cloud. 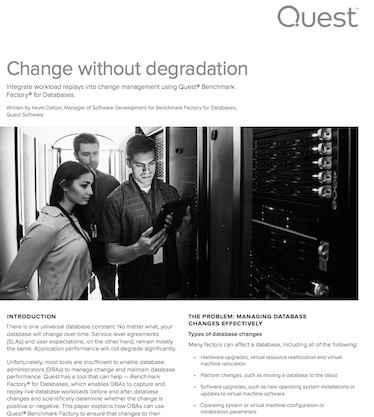 Identify system capacity and performance bottlenecks before they occur. 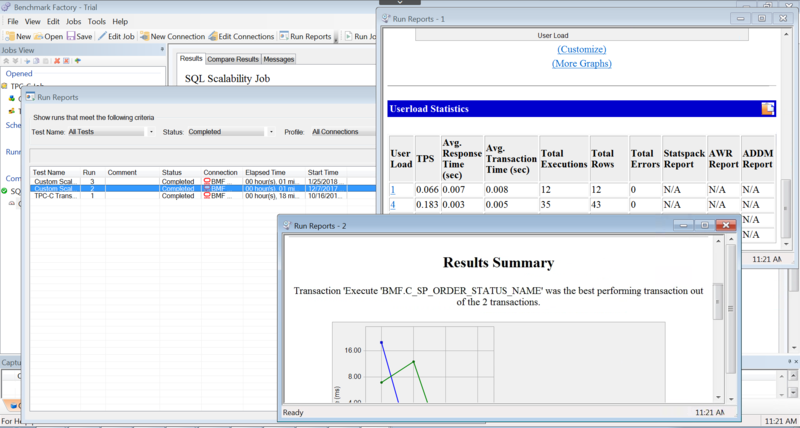 Do what-if analyses using actual transaction workloads. Validate that databases will scale as user loads increase, application changes are made, and platform changes are implemented. Create, run, and review jobs (tests). Deploy agents, access test results and reports. Use the vast amount and variety of statistics in Benchmark Factory’s library to measure, analyze, and predict the capacity of a system. Benchmark factory collects and stores overall server throughput (measured in transactions per second, bytes transferred, etc.) 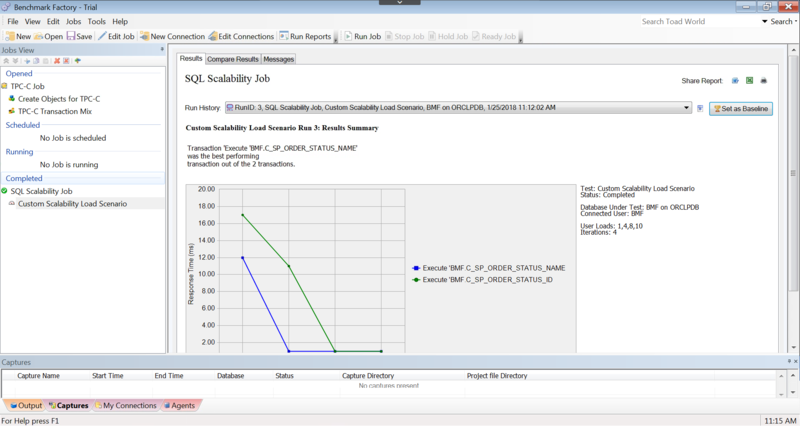 and detailed transaction statistics by individual workstation producing a load. Agents simulate virtual users and send transactions to the system-under-test (database). 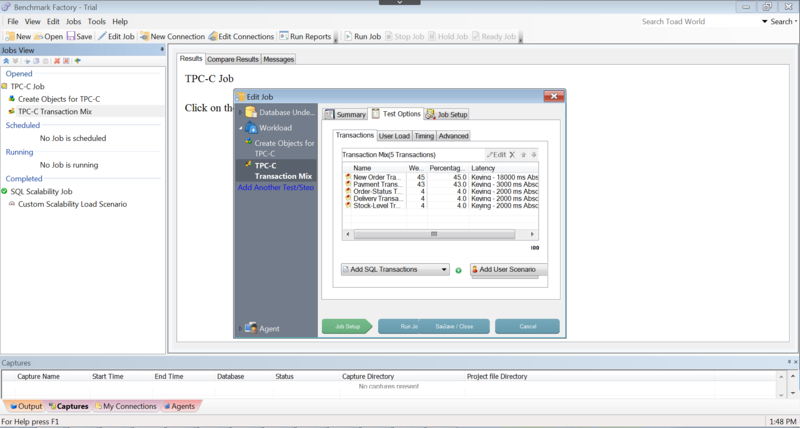 Benchmark Factory Run Reports is a separate component used to view the detailed test results in a report format. Open Run Reports from the Benchmark Factory console or from the Start menu. Supports a wide range of database platforms including Oracle, SQL Server, IBM DB2, SAP, MySQL, and Postgres. Also supports additional platforms via ODBC connectivity. 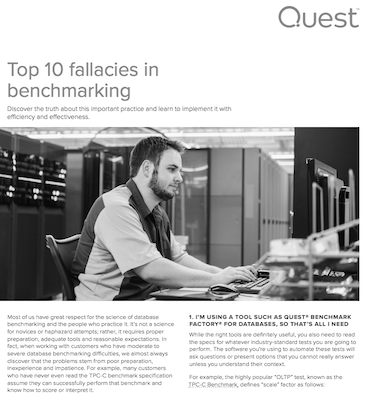 Benchmark Factory’s video library includes helpful how-tos and product information to help you get the most out of Benchmark Factory. The Toad World Forums is your place to ask and find answers to questions, and discuss Benchmark Factory with other users, whether you're a new customer or an existing one.